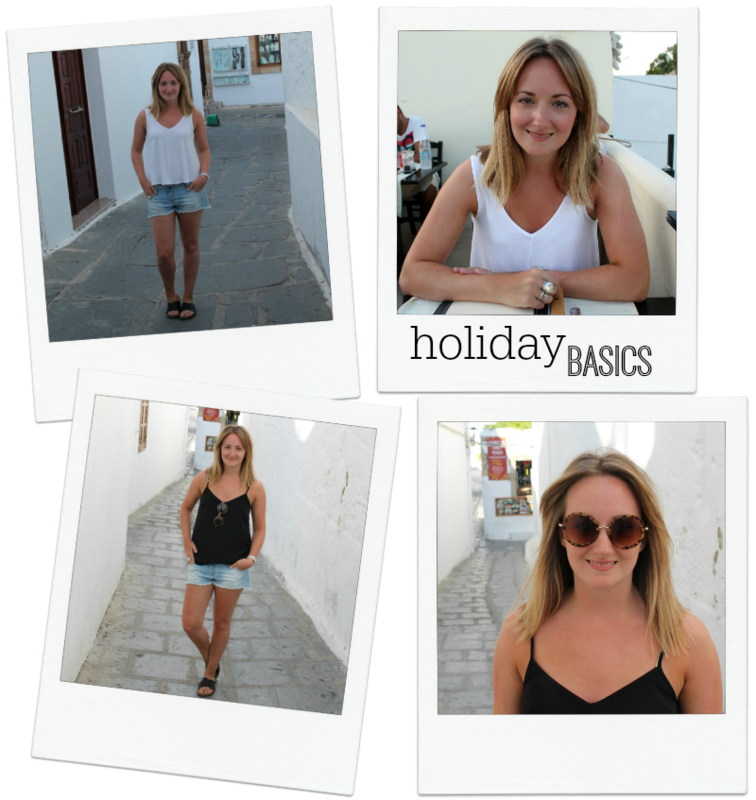 Introducing part two of my holiday catch up - the clothes. If you missed my first post, you can catch it here. For me, holiday clothes aren't fussy. Since travelling to Malaysia last summer and again a few years previously, my idea of beach holiday style is pretty basic - denim shorts, loose fitting cami's and the occasional maxi fit the bill perfectly. I envy those looking glam in their heels and well-fitting dresses, but that just aint me! Luckily, the 30+ degree heat and uneven streets of Lindos suited my casual wardrobe perfectly, and my capsule collection of interchangeable denim shorts and cami's helped me keep my cool in the warm evenings. I didn't take any outfit shots per se whilst in Lindos but here are a couple of snaps to give you an idea.